Moving. Renovating. Need More Space? How much do storage containers cost to rent? Looking to rent a mobile storage container? At D&P Disposal & Storage or Regina, we provide courteous professional affordable solutions for your self-loading waste bin rentals or recycling needs. If you need a bin to clean out your basement, garage, tear off an old roof or any kind of remodeling of your home or business D&P Disposal & Storage can help. Give us a call at 306-539-9360 or email us. Doing renovations? Need temporary storage? D&P Disposal & Storage or Regina provides mobile storage unit to store your furniture and keep it close by or we can haul it to our security gated compound until your renovations are complete. They are also quite handy for smaller moving jobs you can load at your own pace. They measure (16’x8’x7.5) storing capacity of 1024 cubic feet. 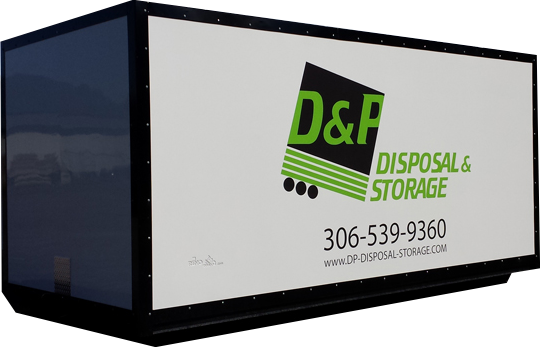 With 3 different sized storage containers, D&P Disposal & Storage can help. We drop them off,m safely in your driveway. The storage containers can be rented long term or short term. If you would like to rent a storage container long-term, we can even pick it up and take it back to our secure storage facility so you don’t have to keep it in your driveway. A storage container has more uses than just when you are moving. Here are the top 10 reasons to rent a storage container. After a loved one passes on, they typically have a home (house or apartment) that they lived in. Transfering their belongings (furniture, clothes, tools and more) will allow preparing their home for resale sooner. And allow more time to organize with heirlooms and other items that the family may want. Moving? Haven’t sold your home yet? Renta storage bin to store all of the clutter in your current home. When real estate agents are showing your home, it is better to have less clutter so the prospective buyers can see the whole home better. The garage tends to become the dumping grounds for old and unneeded items. If not looked after, soon you won’t be able to park or move in the garage. How can you organize the garage without a place to put all of that stuff? Want to renovate your home but don’t have another room to move all of the furniture too? Rent a storage container to be placed in your driveway. Your renovation will go quicker if you can get to work and not keep moving furniture around. Have a flood in the basement? Did a tree limb fall on the roof? Before the damage wrecks more in your home, rent a storage unit to store all of your possessions until its safe to move back in. Storage containers are not just for your home. If you have a business and need to move to another address. Rent a storage unit to help with the transition. If you have a son or daughter away at school and they come home each summer, store their items securely until they need them again next semester. Having a major garage sale? Why not rent a portable storage unit to keep the items in. This way you can use your garage at night for your vehicle. Then, if you can’t sell remaining items, give them to goodwill … then rent a garbage bin and transfer those items to have us take them to the landfill. If you are building a new home, chances are you are buying new furniture and appliances. If the timing of your new home and the sale of your current home are not going to meet. Then rent a portable storage unit to have all your new appliances and furniture stored at the new home or in your driveway. The obvious use of a storage container. If you are moving into a new home, apartment or condo. There is nothing worse than just dumping all furniture, boxes, and containers into the new location. A portable storage rental unit will allow you to take your time and move in properly and organized. The customer is responsible for any and all damage to containers on site. 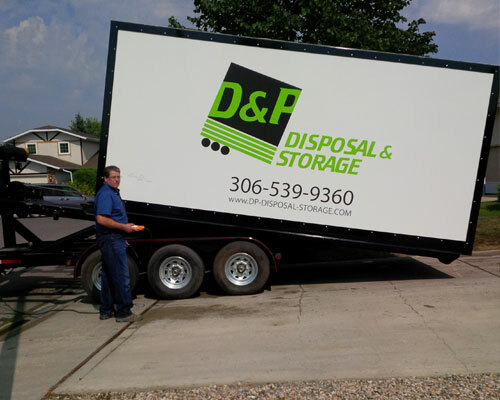 D&P Disposal & Storage is a Regina owned and operated garbage bin and mobile storage unit/pup rental business established in the fall of 2013. 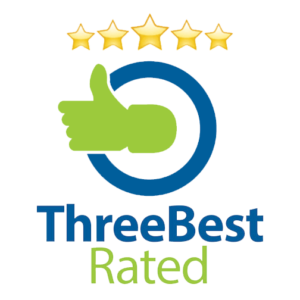 Since then we have been providing courteous professional affordable rental service to the residents and business of Regina and the surrounding area.